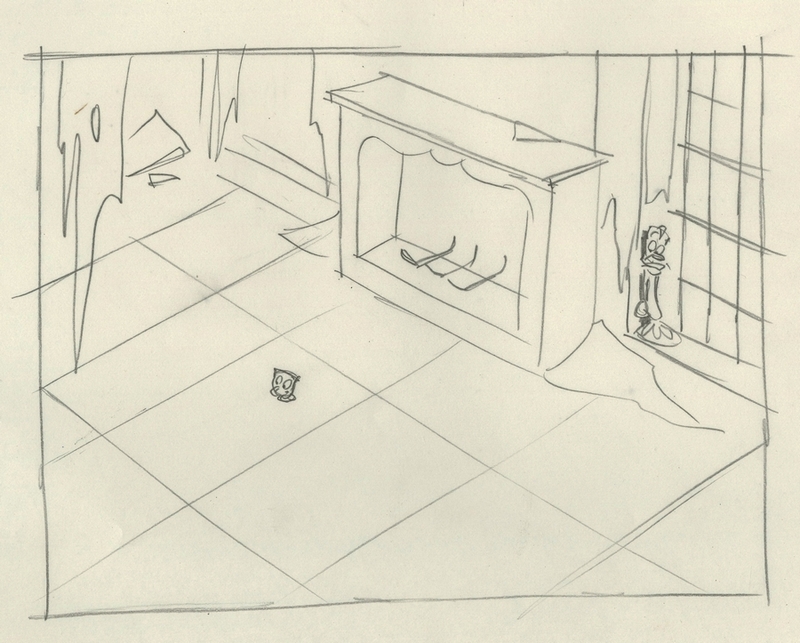 This is an original storyboard drawing from the Walt Disney Studios production of a Beauty and the Beast themed animated film, possibly an early idea for one of the direct to video home movies. 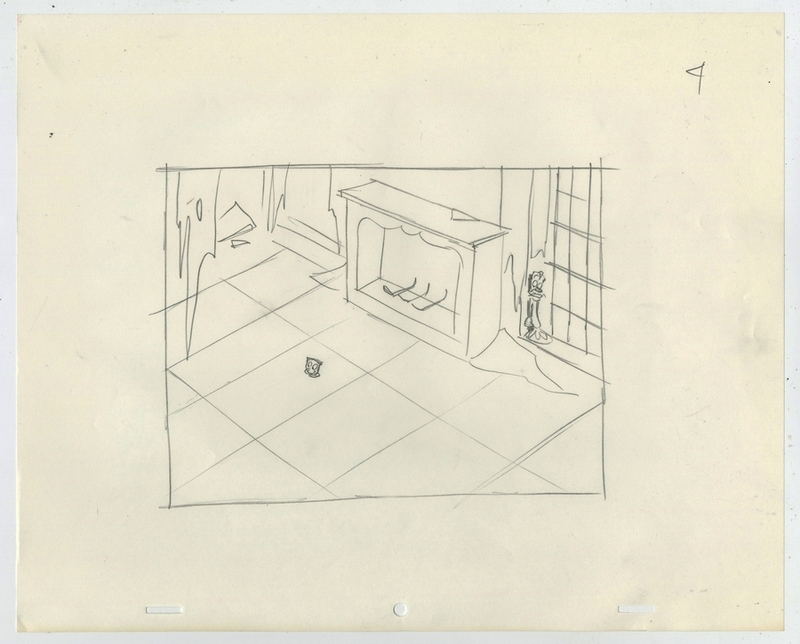 This drawing features imagery from a scene where Belle walks in on Chip playing hide and seek with Lumiere and Mrs. Potts and was created at the studio and used during production. Based on some of the details and activities, it's possible that this scene was never completed and shown in a film. The overall measurements of the piece are 10.5" x 12.5" and the image itself measures 6" x 7". The drawing is in excellent condition.